The process starts by registering your interest and completing an application. 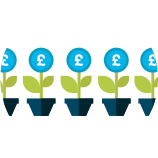 This should take about one hour, and from this our experienced team can assess the suitability of your business and project for this fund. The application process is explained below. We check the application The BIG2 team will work with you on the application and feed back throughout the process. Procurement You'll need to produce written specifications and quotes from suppliers to meet the ERDF eligibility rules. to see if other partners or funds can help. How Much Gap Funding Do You Require? 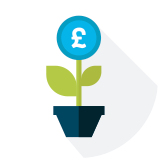 If it's more than £20,000 you will need to present to our external panel of experts to obtain a decision. Decision We put your application to our expert panel for decision. Approval If your application is successful we will notify you in writing. Start your project You can now start your project! Claim Once you have completed your project you can submit your claim paperwork. Keep all your paperwork Hold onto your paperwork, you will need to store this until 2033.